Thanks to Kelly for her 7th donation! I'd like to thank Kelly for donating for an incredible seventh time since joining. DYK 74: Did You Know? That with an average of 500 posts per day, Richard's Animorphs Forum is the most active Animorphs community online? DYK 73: Did You Know? That every month RAF member KitsuneMarie posts a world map of all active RAFians? Beginning today, there will be not only two ranks for members who donate, but three. 1. "Donator" has been renamed to the more conventional "Donor". 2. If you donate less than $10 dollars your position will expire in 6 months. 3. If you donate more than $10 but less than $50 you will get 20 karma points (Silver Donor). 3. Gold Members has been renamed Gold Donors. All RAF member ranks can be found here: http://animorphsforum.com/ranks. If you were wondering how to play, here's a bit more details about our forum's Animafia game. (Ani)mafia is played by a group of RAFians on either the mafia or the civilian's team - along with a game moderator. Certain members may also be given special roles, such as the medic or the cop. At the beginning of the game, the moderator gives everybody their roles (via pm), which must be kept secret. During the night, the mafia decide who to kill off and the special roles get to perform their abilities. When day breaks, the town can lynch someone they suspect to be mafia by means of voting. The game continues, alternating between night and day, until one side is eliminated. Here's a link to the board and more detailed rules. DYK 72: Did You Know? That even though we are primarily an Animorphs community; Animorphs related posts account for only 12% of all posts on RAF? Anybody interested in a little forum fun, feel free to check out our mafia game. If you're unfamiliar with the rules,we've got you covered. Sign-ups are now; don't miss it! Thanks to Enki O for her donation! Only a month in and Enki has already contributed to RAF with a donation. She'll enjoy the new Gold Member ranking and the 50 karma points that accompany it. Have fun in the D-lounge! DYK 71: Did You Know? That members of our Animorphs community re-read and discuss Animorphs on a weekly/bi-weekly basis? Thanks to Genies9 for her 3nd donation! First off, I must say thank you to Steph for donating for a third time since joining our Animorphs community back in October 2009. What is more cool is that she will enjoy an additional 50 karma points and will jump to #5 on the RAF donar leader-board. 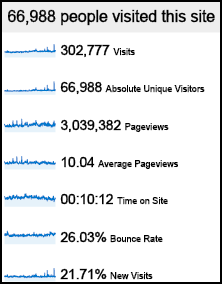 I have been a bit lax in updating the general public on our usual monthly RAF statistics provided by Google Analytics. I have not posted since March 2010 the monthly stats on Twitter. So here's the rundown of all that was not updated. Our second year with Google Analytics has come and gone. So here is a rundown of July 14 2009 to July 14 2010 on Richard's Animorphs Forum. For reference, here's our first year. DYK 70: Did You Know? That Animorphs will be re-released in 2011?